RE: Community Outreach Meeting on Monday, February 24th, 3-5pm @ Texas Women’s University, Arts and Science Building (ASB) 204. The Texas Homeless Network has chosen Denton as one of three cities to pilot a Coordinated Access Network (CAN) Project which will then be used by all cities accessing HUD funding. The other two cities are Texarkana and Corpus Christi. What is a Coordinated Access Network? 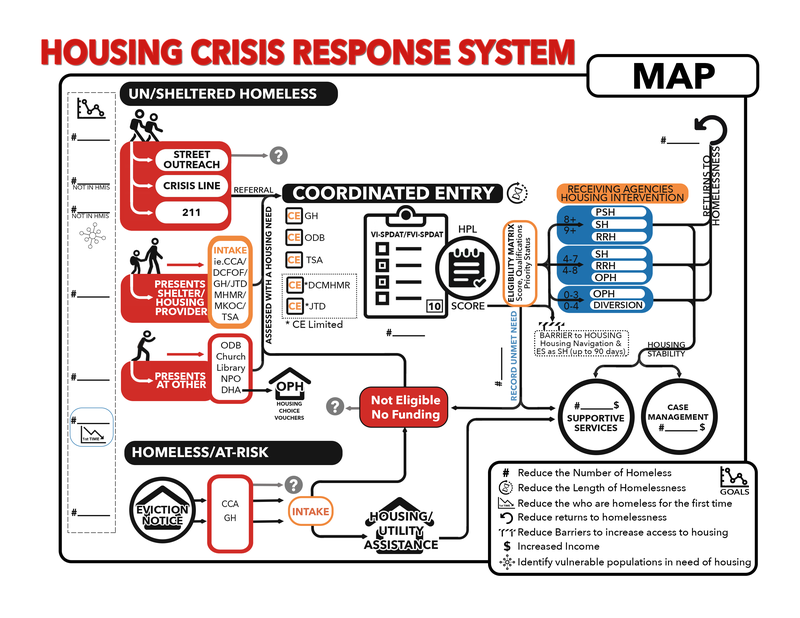 It is a system whereby there are a limited number of entry points for the homeless or at risk of becoming homeless population. These entry points will have trained individuals to screen the homeless individuals or those at high risk of being homeless regarding the services they need. These services could be rapid re-housing or supportive housing services. Based on the intake assessment the entry point staff/volunteers will know what the unmet needs are and then see which of our organizations has the capacity to take on that case at that time. At this point in time, in order to start the project, the Denton County Homeless Coalition, has elected to have four entry points: Our Daily Bread and the Denton Salvation Army for the individuals who are already homeless and Visions Ministry and Giving Hope, Inc. for those at risk of becoming homeless. What this means for the rest of us is that, if our organization has someone who is homeless or at risk of being homeless, we do not send this individual to one of the organizations we know but rather we send them to one of the entry points for intake. What do we need from all of the organizations in Denton? First, that you refer individuals in need of housing assistance to one of the entry points. Second, that you agree to join the list of organizations who will keep the entry points up to date as to the resources that you have and how your organization might be able to help individuals. Third, that you share this information with as many organizations as possible. The ultimate goal is to help the homeless or at risk of becoming homeless receive streamlined services rather than waste time and energy going from organization to organization. Together we can make a difference in helping these individuals receive the services they need in an efficient manner. If you have any further questions you can contact the Denton County Homeless Coalition or Dr. Alonzo Peterson at Giving Hope, Inc. who chairs the committee coordinating the entry point agencies. On behalf of the homeless population, we thank you for your support of this new project and in helping us make this project successful.